Not only is Tamarack adorned by a gorgeous and comfortable setting, there are more activities than just tennis for the campers to enjoy. At the heart of the camp sits the lodge, containing a dining hall, kitchen, a cozy lounge for the staff, a living room, extra bunk rooms, the camp offices, a pro shop, and also a recreational area complete with a pool table, and ping-pong. 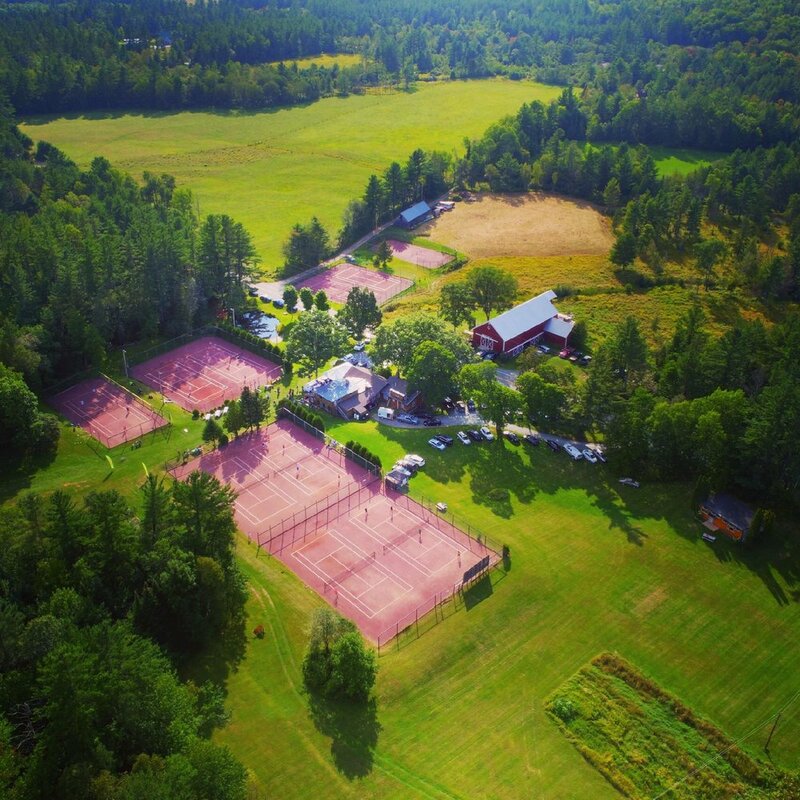 Nestled around the lodge, you will find eleven clay tennis courts, which are seamlessly built into the natural setting of the camp. There is also a Large Red Barn and a pasture that are home to a variety of farm animals. In back of the barn, there is a three sided climbing wall ranging from novice to expert skill. To add to the giant-sized fun, is a professional sized soccer field, a trampoline built into the ground, and spacious lawns for camp games or frisbee. The deck on the front of the lodge is an excellent spot to relax with a book, and it makes the perfect vantage point to watch others compete on Tamarack's two best courts, which include overhead lights for night play. There are five other buildings on the campus that house campers and counselors.